← Wordless Weds. A simple beauty. The art of taming nature – the training, pruning, shaping of shrubs and trees has been a feature in grand estates for hundreds of years, but now features strongly as a design statement in modern gardens. 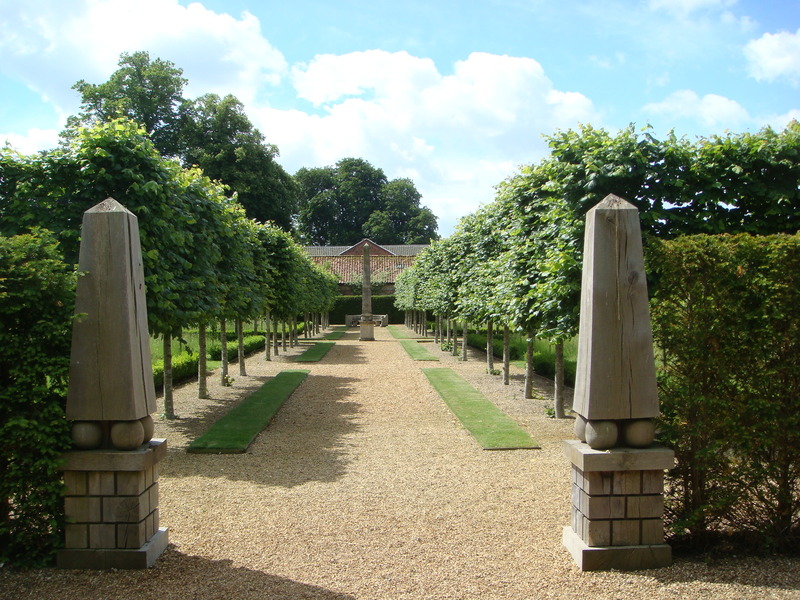 Pleaching usually refers to the interweaving of the branches of trees to form a sort of stilt hedge and was a feature of 17th and 18th century formal gardens creating grand allées when planted in double rows, directing the visitor around the garden. 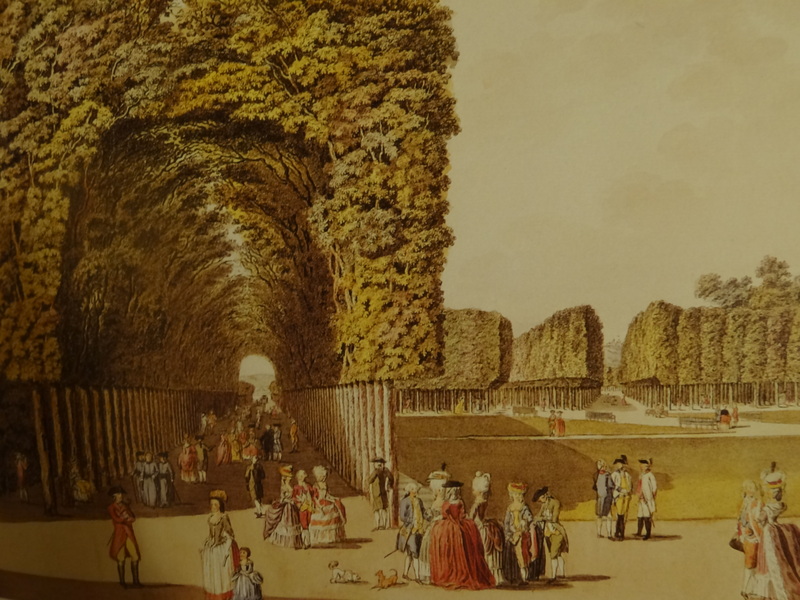 It was much used by Le Nôtre , above at Versailles and below in the Tuileries garden. 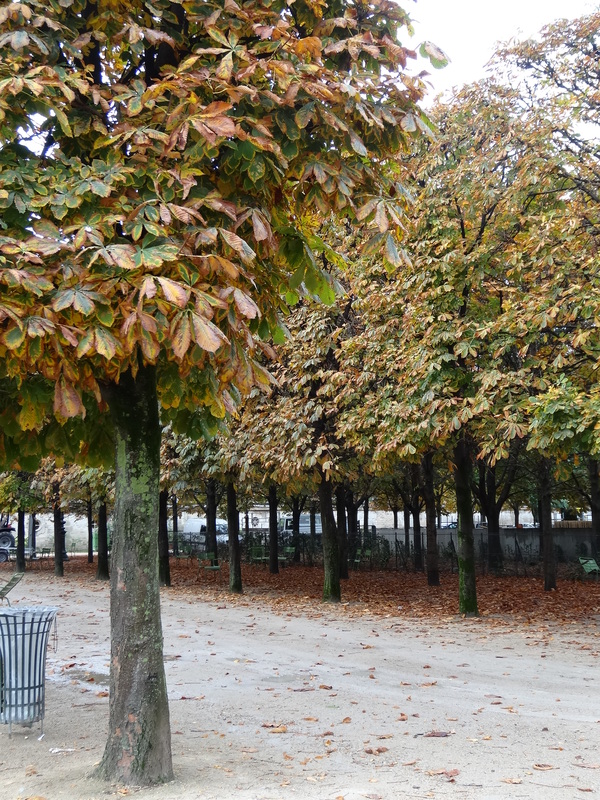 Pleached horsechestnut allee, Tuileries gardens, Paris. 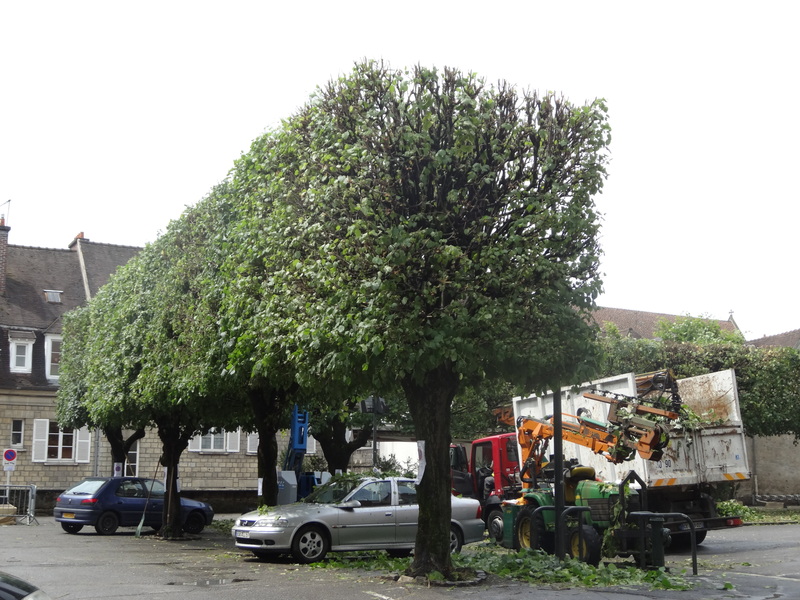 Suitable trees are those with smoothbarked trunks, such as limes and hornbeams, but evergreen ones, such as Photinia or Laurel,can be used too. 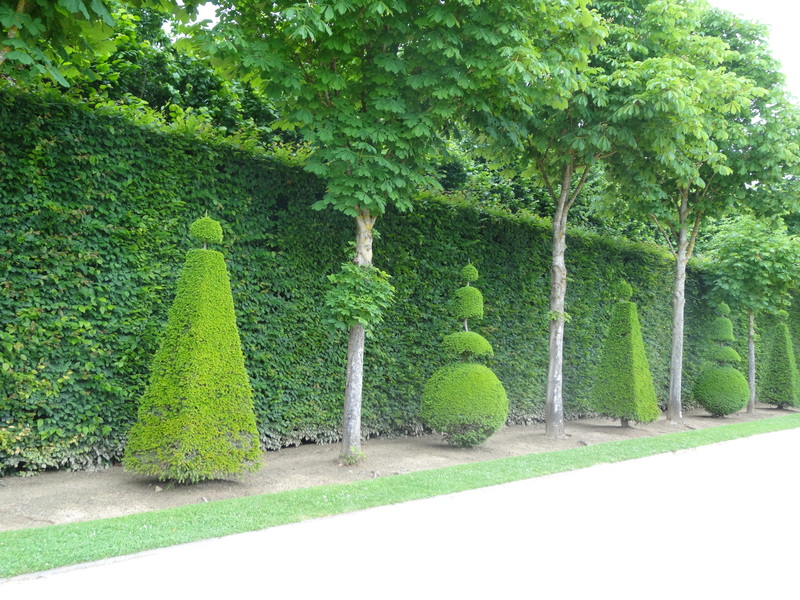 The French particularly are masters of the art, and it’s quite commonplace in the gardens of Flemish Belgium. 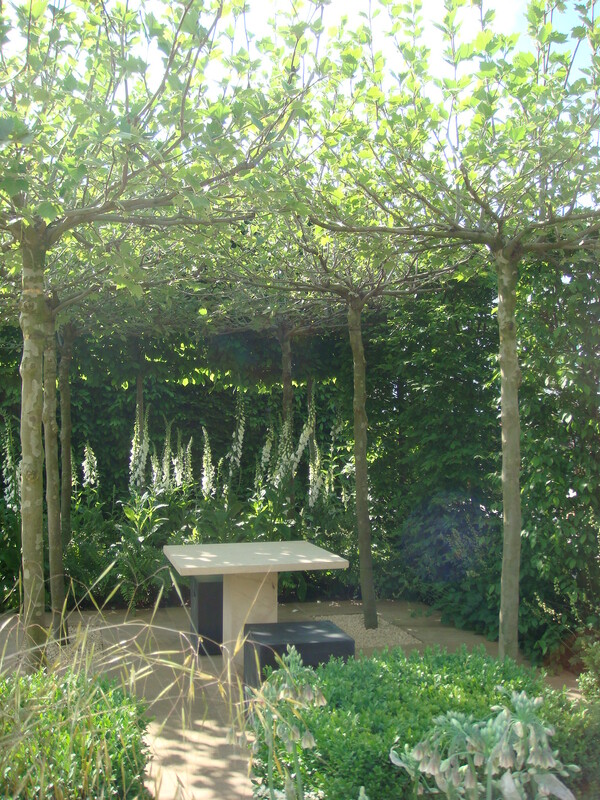 Pleaching gives height and elegance to a garden, whilst taking up minimal space at ground level. 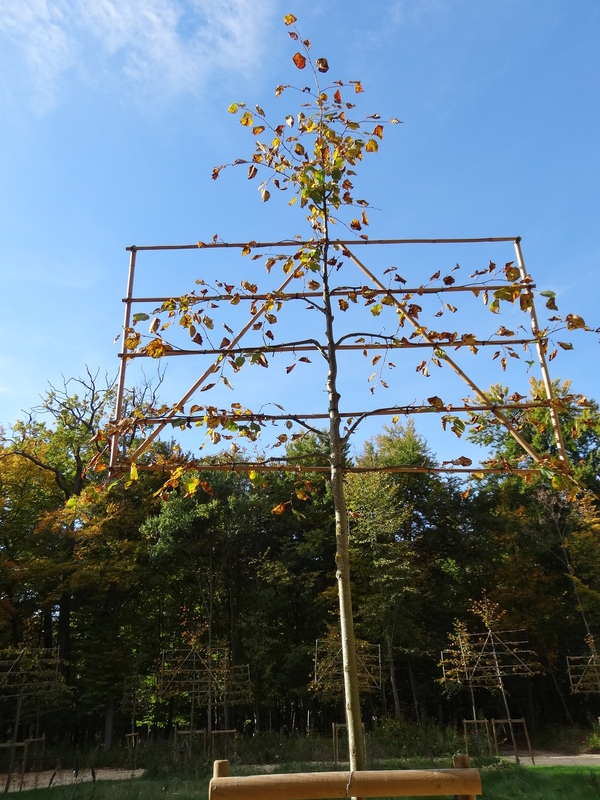 You can buy ready pruned specimens or you can build a structure and train the trees yourself on bamboo poles trained between stakes. You want a strong leader.Tie in young stems using soft string, cutting off those stems growing the wrong way; the adjacent limbs will blend together over time. 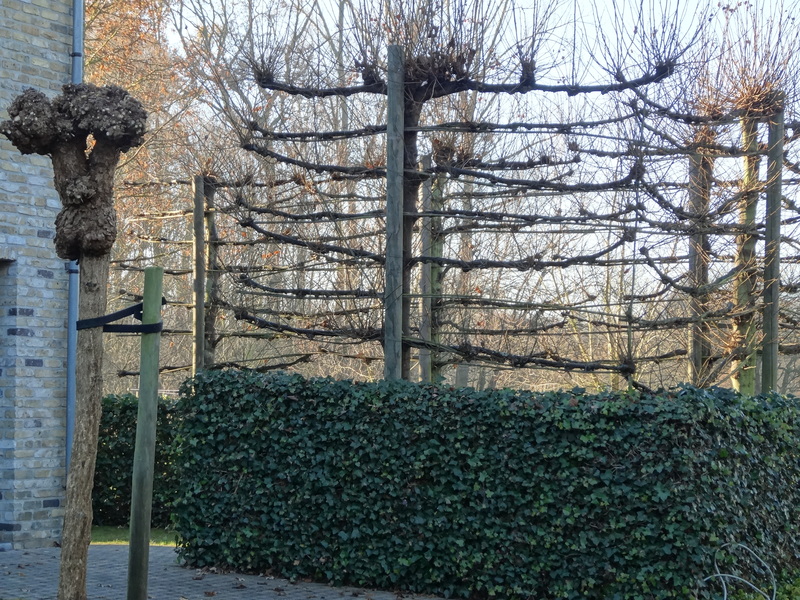 Regular pruning is required every winter to keep in shape; you want to keep the trunk free of all growth. This historic art of taming nature adds elegance, structure and privacy to your garden – from a stately home to an overlooked city patio. I love the look of it, so elegant but lots of work to maintain. Yes, like topiary and all the other “taming nature” skills, a little goes a long way for ordinary folk (ie, no team of gardeners) – really useful in small doses in city gardens, otherwise something for the showcase gardens. Just saw this and got the answer to the question I asked you. 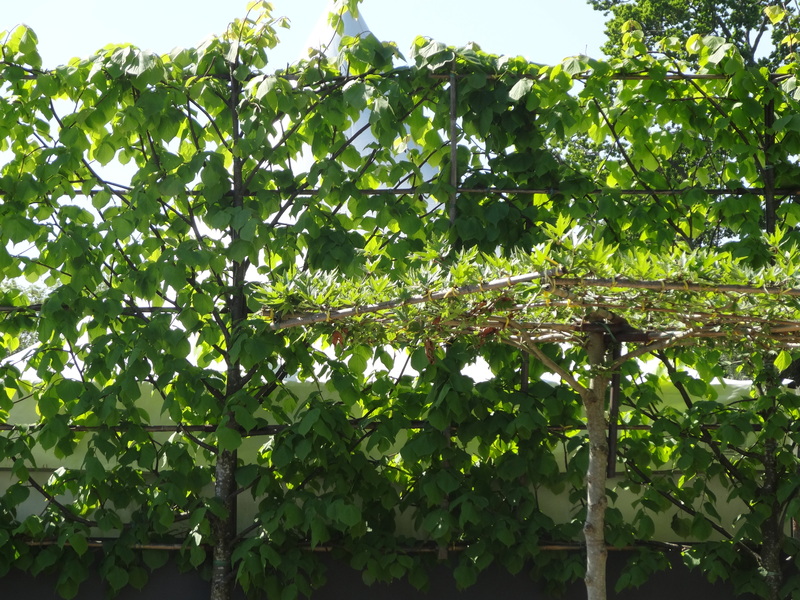 It looks like espalier, doesn’t it?